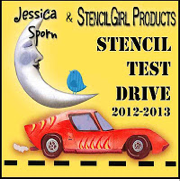 Ready for another StencilGirl Test Drive with stencils from Jessica Sporn? 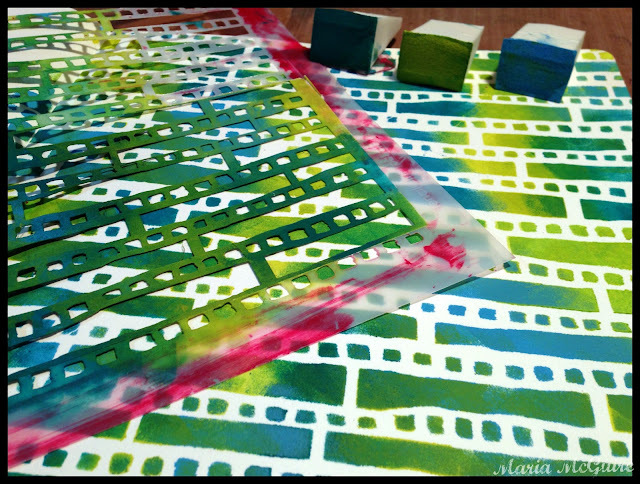 I started with using three different colors of paint with the stencil in my art journal. This is where my inspiration came. Choosing my path is a big theme in my life right now and I saw the stencil as a path. 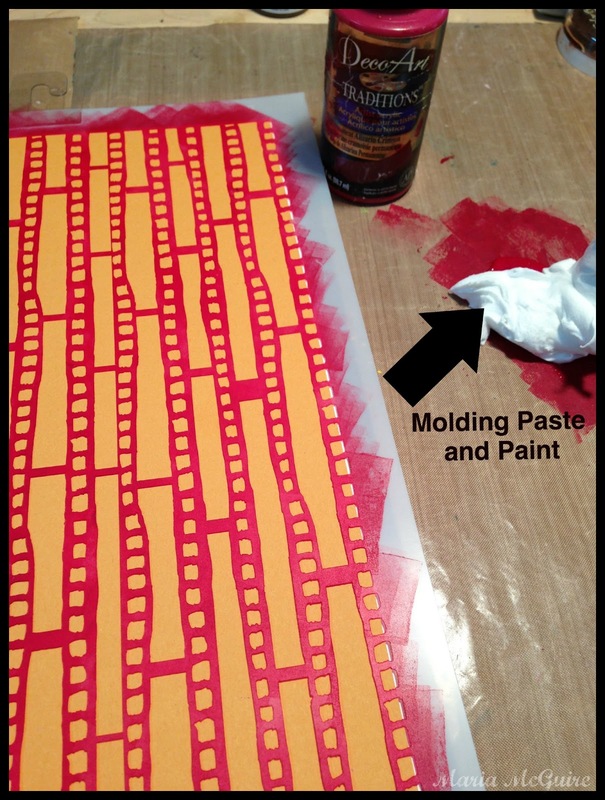 I added another stencil element from Jessica's Embrace the Rain stencil from StencilGirl in addition to some stamping. 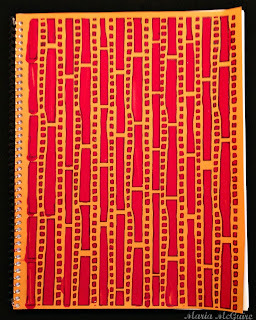 Before I send you off to see what the other artist's have done with this stencil here's one more quick thing I did with the stencil. 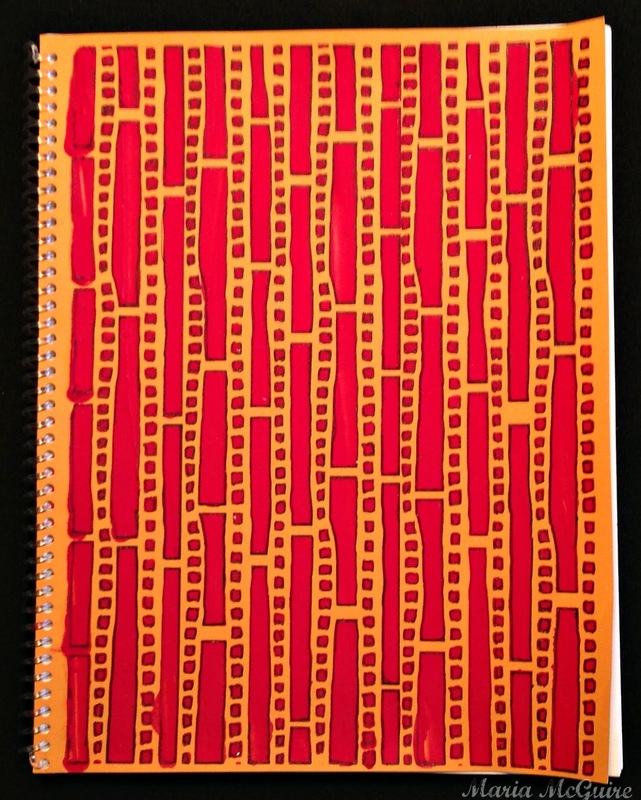 I had some printouts from a class I'm taking and I bound them together using a Rubicoil Machine. 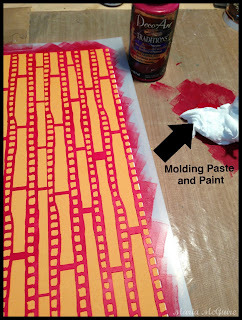 I used a plain piece of orange cardstock and used molding paste mixed with paint and the stencil. I just wanted a quick cover which I may or may not embellish more but for now it is perfect. 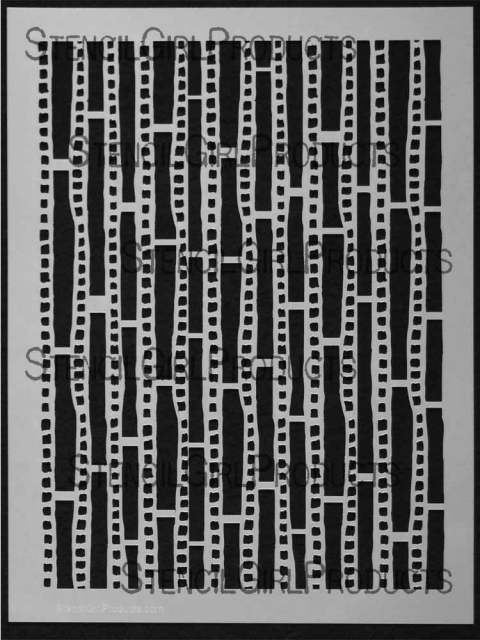 You are so right- it does look like a path- I hadn't seen that until your page! Love the pink- it pops so perfectly with the greens and blues! Can't wait to see what else you're making with it! How fun!! !LOve the interesting background created from this. 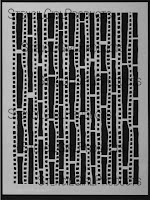 So cool the way you blended the colors on the stencil, and then set off the dreamy look you got from that with the bold black. 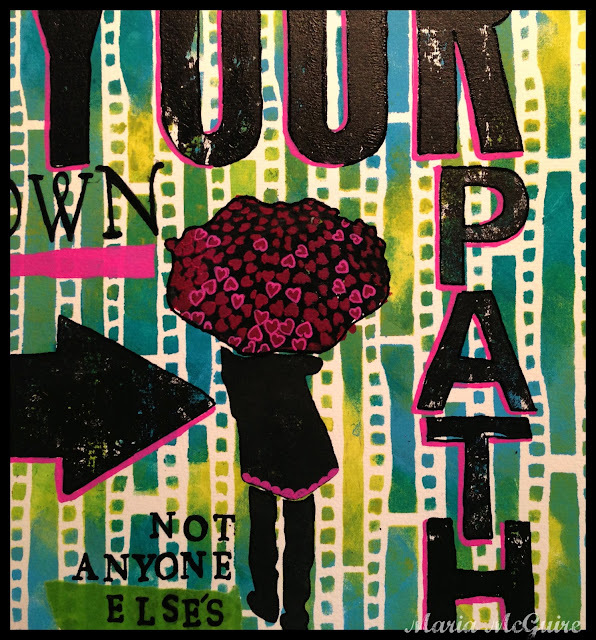 Yes - so many paths - and so important to pick one and follow it with conviction! Love how you embellished the rain girl with that hot pink. It's all a beautiful contrast to the cool colors underneath. xoxo and thank you for test driving with me! Wonderful. I like the way you blended the colors using the sponges. Very cool. The quote is great. Love it. A cobblestone, like effect, now that you mention "path". Love the simple colors your chose and the impact it has. This is so beautiful and inspiring, Maria! So many new ideas every time I visit! 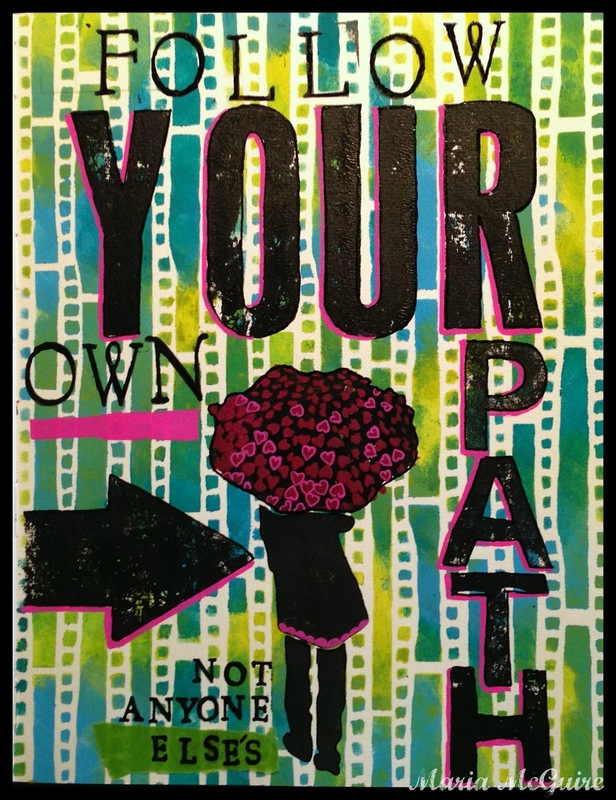 Love the colors and the message too! Beautiful work I especially love the colors for the quick cover. I really like the multiple colors showing through this stencil. And very cool umbrella chick! Awesome, very nice to see!